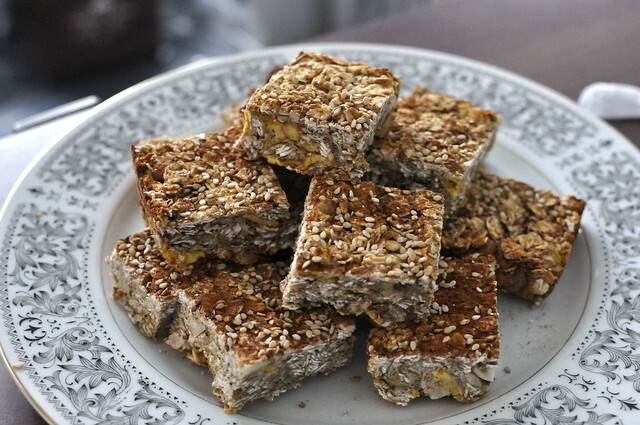 Over the past few months since I made my first Snack Bars (Oat and Sesame Snack Bar) I have been obsessed with making them and tweaking my recipe every time. 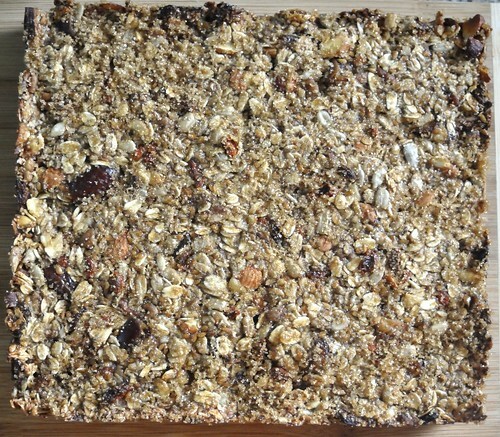 Making your own Granola bars is such a great alternative to the store bought ones not only are they better tasting they are way more healthy. This particular version is one of the more recent ones I have made and it was my favorite so far so I thought I would share the recipe here. Once all of the mixture is thoroughly incorporated pour out into the greased pan and pat down so it reaches the edges of the pan and is uniform in thickness. Place in the preheated oven for 30-45 minutes until the edges of the oatmeal squares start to brown. Turn out the bars onto a cutting board and cut into 16 1 1/2″ x 1 1/2″ pieces. 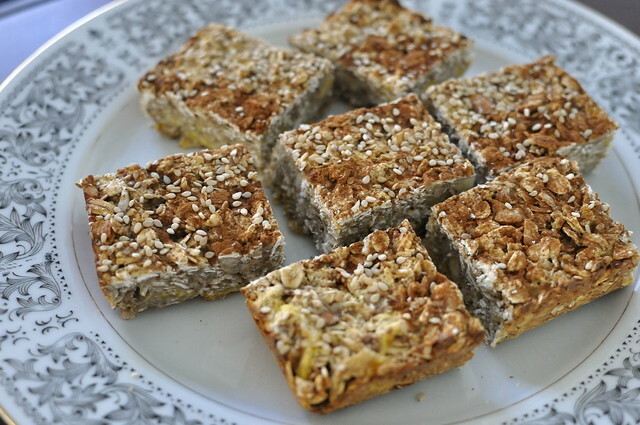 I have been trying to eat better at work and avoid unnecessary snack trips for unhealthy and expensive snacks during the day, so while pursuing the web looking at different recipes for granola type bars I could make I ran into the 4 Ingredient Banana Nut Bars from The Kitchn. 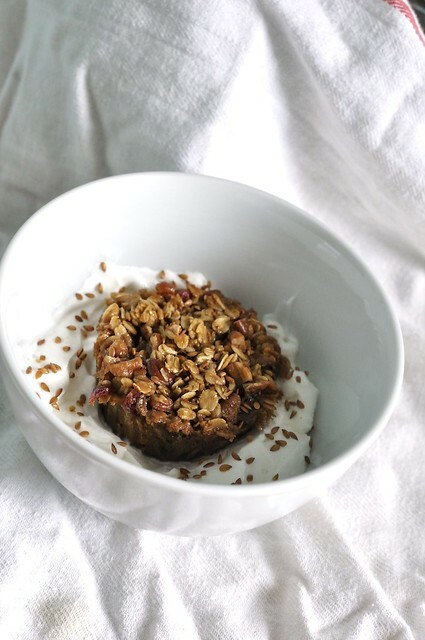 I liked how simple the recipe was so I went to work making some with what I happened to have on hand in my kitchen on that particular day, which happened to be Oats, bananas, Coconut Flakes, and dried blueberries. While the original recipe did not include any egg my mix seemed a bit dry so I threw one in to help bind everything together and add a bit of extra protein into the mix. From that first round of bars I have started to experiment with different additions and subtractions to switch it up and find what I like best. 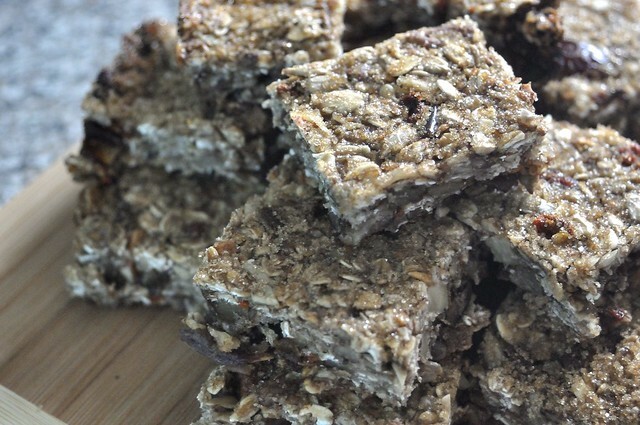 Regardless if you follow the orignal inspiration recipe or my version below these snack bars are quick to make and great as a quick, healthy and filling breakfast, snack during the day, or as a pre gym energy snack. 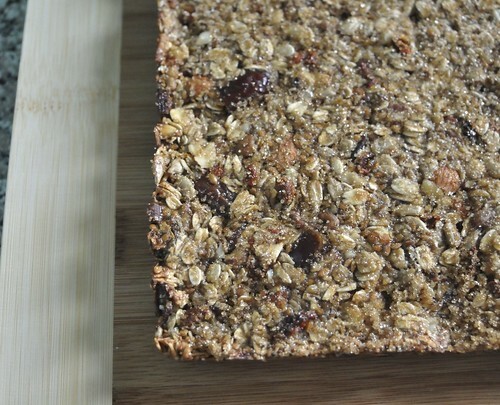 This Recipe makes a particularly dense bar which is why I suggest cutting them into such small pieces. 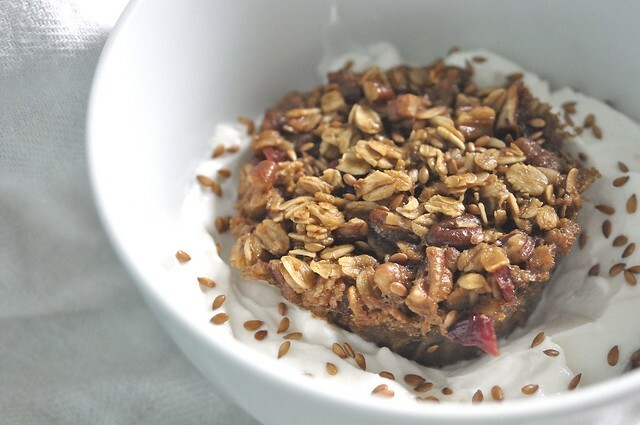 You can make them less dense by adding some chopped dried fruit to the mix. Either way they are filling, healthy and tasty. I used powdered peanut butter because it has less fat than regular peanut butter but feel free to substitute the normal stuff in its place. This recipe is very forgiving so feel free to experiment and substitute ingredients as you see fit for your tastes and pantry contents. Once the Banana and Plantain are mashed up add the egg, powdered peanut butter, 1 tsp of the Cinnamon (save the rest for the top of the bars), Blue Agave, and Salt. Mix well until all ingredients are incorporated. 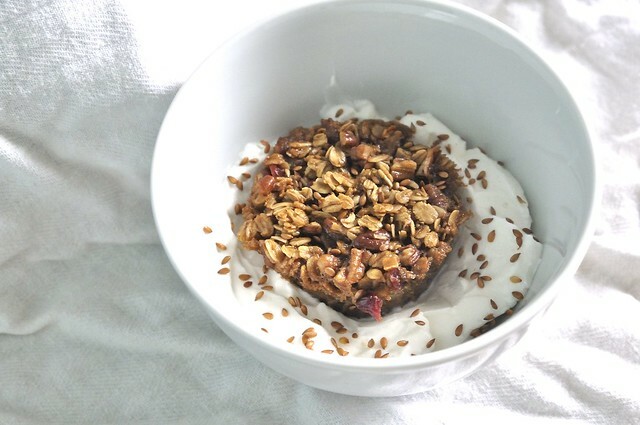 Add in the Oats, Chopped Almonds, and 1tsp of the Sesame (save the rest for the top of the bars) and mix well. Once everything is incorporated turn out the mix into a non stick or grease 7×7 (or 6×6) baking pan. 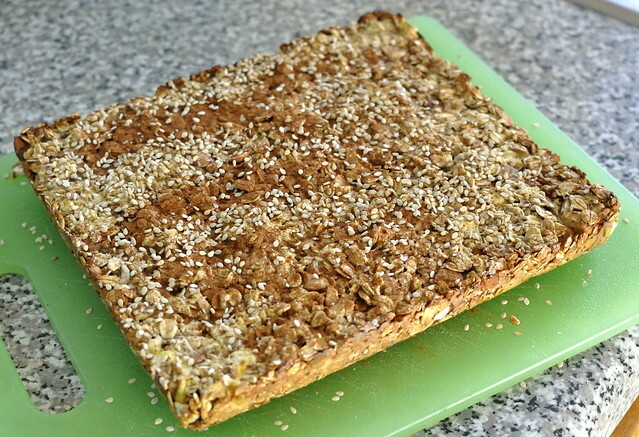 Sprinkle the top of the bars with the remaining sesame seeds and cinnamon. Bake for about 30 minutes until the mix is solid and has browned.Let cool for about 10 minutes in the pan on a cooling rack then turn the bars out of the pan on to the rack and allow them to cool completely.